Make yourself at home in one of the 108 individually decorated guestrooms. Complimentary wired and wireless Internet access keeps you connected, and cable programming provides entertainment. Bathrooms have designer toiletries and hair dryers. 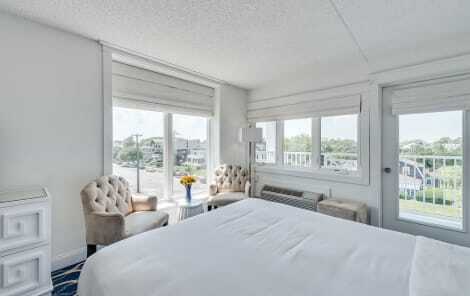 Conveniences include phones, as well as complimentary newspapers and a turndown service. With a stay at Jetty Motel in Cape May, you'll be on the beach, within a 15-minute drive of Wildwood Beach and Poverty Beach. 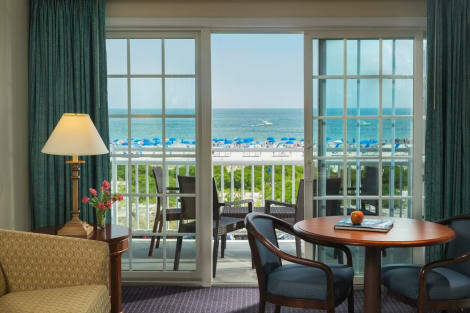 This beach hotel is 9.4 mi (15.1 km) from Wildwood Boardwalk and 11.2 mi (18.1 km) from Wildwood Convention Center. Featured amenities include a 24-hour business center, a 24-hour front desk, and laundry facilities. Planning an event in Cape May? This hotel features 1000 square feet (90 square meters) of event facilities. Free self parking is available onsite. Grab a bite to eat at Ebbitt Room, a restaurant which features a bar, or stay in and take advantage of the room service (during limited hours). A complimentary continental breakfast is served daily from 7 AM to 10 AM. lastminute.com has a fantastic range of hotels in Cape May, with everything from cheap hotels to luxurious five star accommodation available. We like to live up to our last minute name so remember you can book any one of our excellent Cape May hotels up until midnight and stay the same night.